Battle of the Artists is the name we've given to our annual street painting festival. Artists of all ages and abilities are invited to participate; participation is free and all materials are provided. 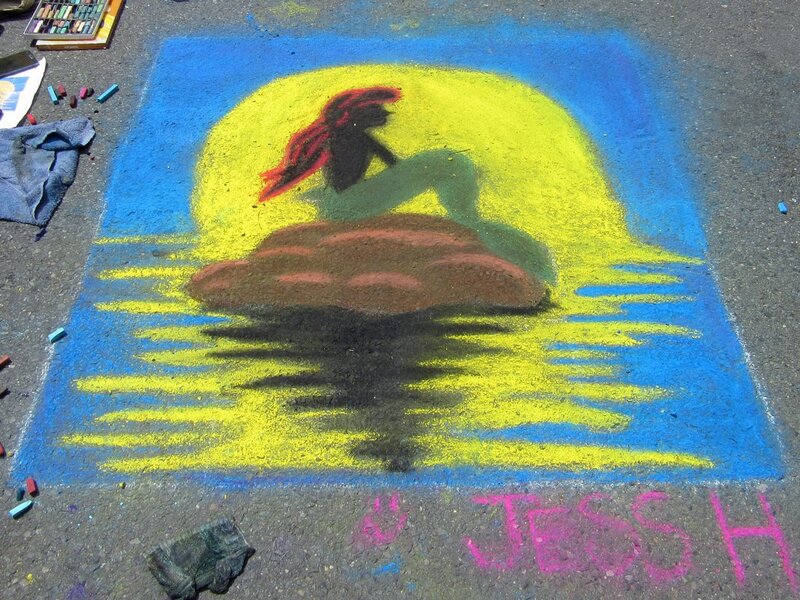 Artists have one day to bring their creations to life on the pavement of Battle Street. The 5th Annual Battle of the Artists took place on May 6-7, 2017. We'll leave the information here (below) for anyone who would like to see it. Look for the 6th Annual about the same time in 2018. ​Left to right: Judge's Choice, People's Choice and Runner Up. See details and more images here. Battle 2013. More 2013 here. ​The prospectus and application is available for download from this page (see below). This web page will be THE source for artists about the festival, from what to bring to where to park. Here you'll find tips and ideas for street painters, exhibition guidelines, and a FAQs sheet. This page will be updated as new information becomes available, so we encourage you to check back often. NOTE: the following links are to documents in the Adobe .pdf format. If you do not have a program that reads .pdf files, you can download one for free at Adobe: https://get.adobe.com/reader/otherversions/. Highly recommended!